Dolphins run defense was almost non existent on Sunday vs. Detroit. 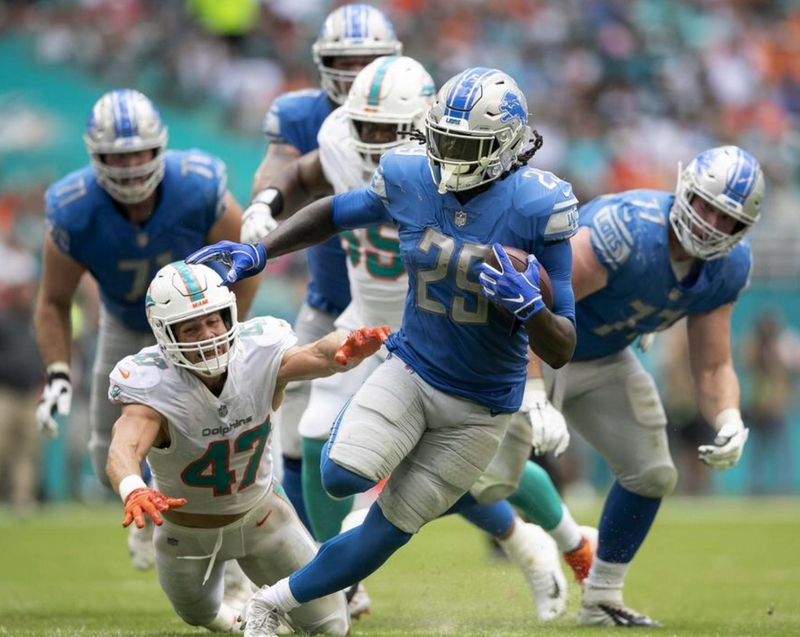 Dolphins gave up 248 total rushing yards to the Detroit Lions. It was Miami’s first home loss of the season. Detroit averaged 7.9 yards per carry during the game. What happened? When asked after the game, Akeem Spence, TJ McDonald, Raekwon McMillan and Reshad Jones had no clue stating “we have to look at the tape”. I think that Miami prepared all week for the worst to come from Matthew Stafford. Instead, Detroit opts to the run, and the Dolphins were caught off guard. They were dominated from the line of scrimage, and were not able to make their typical halftime adjustments. Dolphins have a short week to figure out what went wrong. They face the Houston Texans on Thursday night in Houston.